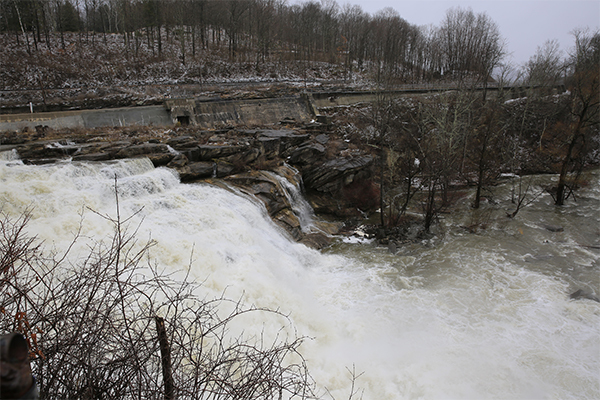 During the planned water releases in spring, the dam-controlled Great Falls of the Housatonic puts on a spectacular show for sightseers. This water flow is unsurpassed in power by any other waterfall in the region. When the water is flowing (and in the summer months it generally is not) whitewater kayakers often take to the strong currents below the falls. From the upper viewpoint near the top of the falls, it is always interesting to watch them paddle the powerful currents of rapids below the falls. 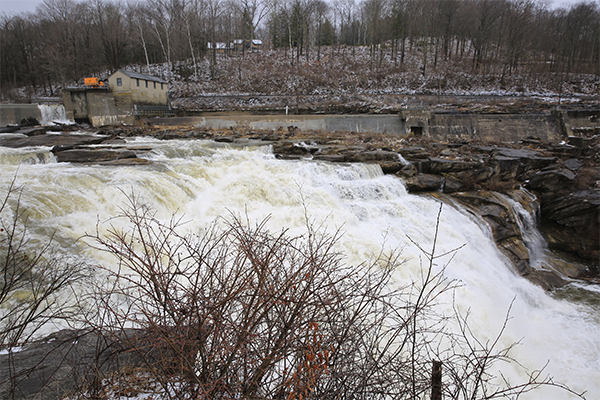 The volume of water flowing over this 50-foot feature, which is also commonly referred to as Canaan Falls, Housatonic Falls, or simply the Great Falls, is impressive. If you are unable to make it to Niagara Falls in New York this summer, this waterfall might be just about as close as you can get to that in New England. When water levels are running high, and the leaves have not grown in yet for the year, you can also see a 15-foot tall horsetail on Wetauwanchu Brook from the southern parking area. 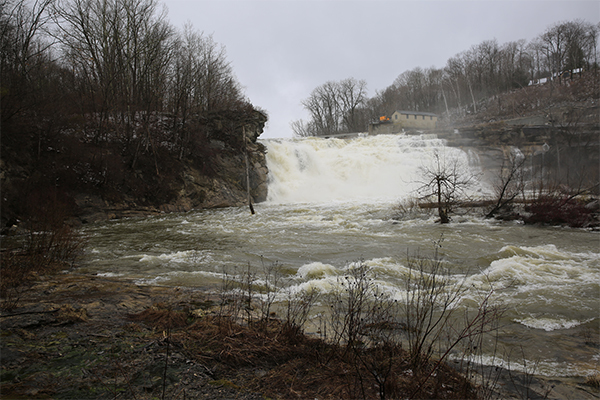 The falls are 200 feet or so from the road and should be clearly visible from March through early May. These additional falls themselves are likely on private property, so limit your views to those from the road.